Run, Jump, and Play on the Island Oasis Obstacles! 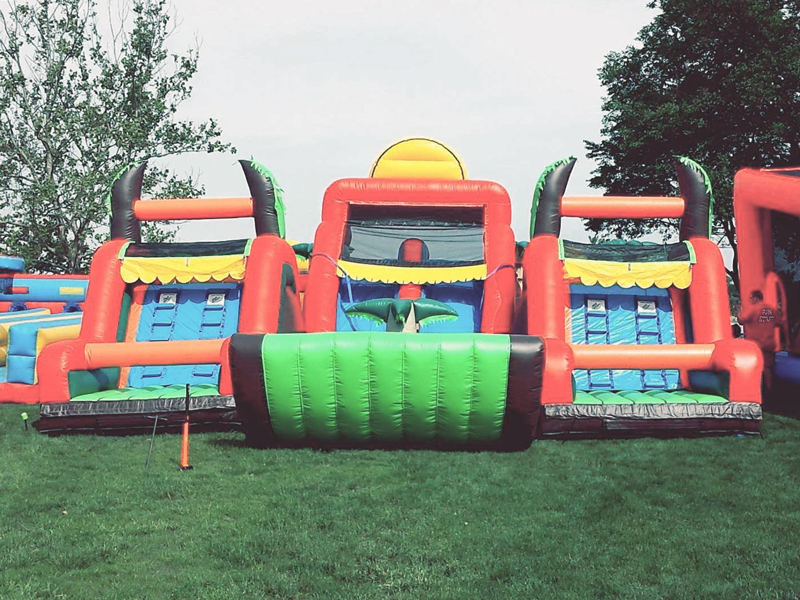 Our giant Island Oasis Obstacle Course will transport you to a tropical paradise without the hassle of the TSA, except you still have to remove your shoes! Lounge about as you watch the kids scramble up a hill, crawl through tunnels, scale a 16 foot climbing wall, and launch themselves down the slide! A perfect way to spend the day! Concessions are always a good idea. Your guests can snack on POPCORN and FUNNEL CAKES. 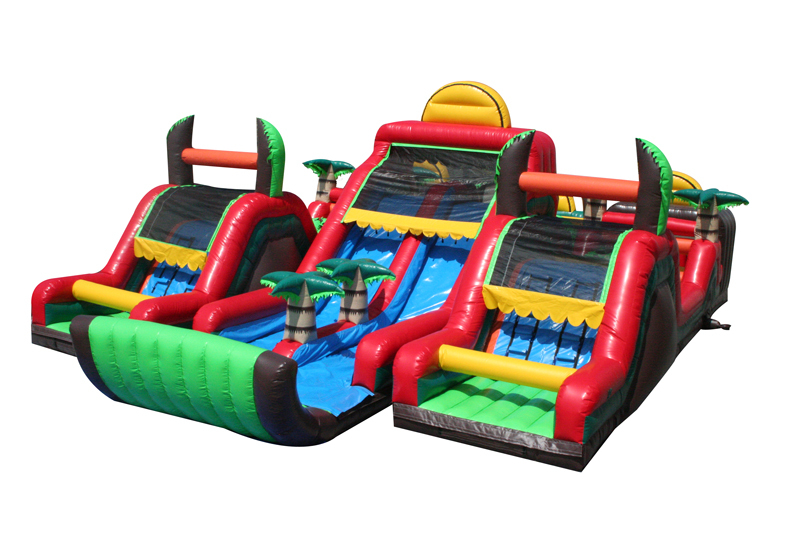 You may also like our inflatable TWISTER or PIRATES COVE. Even though our business is fun, we take safety seriously. Fun Services staff is insured and licensed. So, you can expect to receive quality, professional service with every rental from Fun Services of Nebraska and Iowa.